Neocons and other U.S. hardliners, who want to bomb-bomb-bomb Iran, never stop scheming up ways to torpedo a deal that would constrain but not eliminate Iran’s nuclear program, with the latest idea a threat to impose new sanctions if Iran doesn’t capitulate, as ex-CIA analyst Paul R. Pillar explains. Notwithstanding the obvious asymmetries in soon-to-resume nuclear negotiations with Iran (it’s Iran’s nuclear program, not the U.S. one, that is being restricted; it’s the United States, not Iran, that is sanctioning someone else’s economy) the perceptual and political similarities that Americans and Iranians have brought to this encounter are striking to anyone who has been following the subject closely. To begin with, the chief policy-makers in each country clearly want to reach an agreement. On the Iranian side this includes not only the foreign minister who has been conducting the negotiations and the president who has been directly overseeing them but also the Iranian policy-maker who matters most: the supreme leader. It is almost inconceivable that Ayatollah Ali Khamenei would have made it possible for President Hassan Rouhani and Foreign Minister Javad Zarif to have gone as far as they have already gone, and to sign Iran up to the commitments they already have made in the preliminary agreement reached in late 2013, if he did not genuinely share the objective of completing the negotiations and reaching a final agreement. 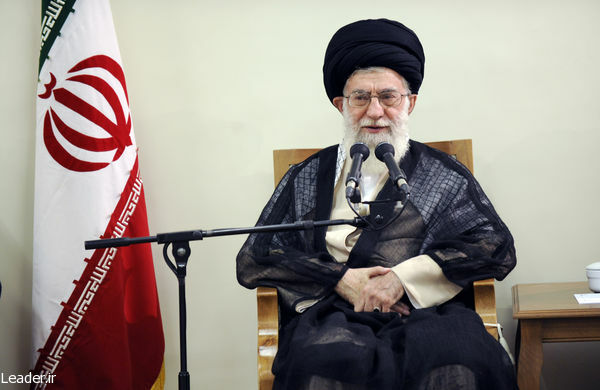 Both the U.S. president and the Iranian supreme leader have publicly voiced skepticism, however, as to whether the negotiations will in fact succeed. Probably the expressed doubts are in each case partly tactical, to limit the perceived political damage to each leader should the negotiations fail. But the doubts probably also reflect genuine assessments of the challenges that each side faces in reaching, and securing domestic support for, an agreement. That gets to one of the clearest elements of symmetry between the two sides. Each government is burdened with substantial opposition from domestic elements that oppose any U.S.-Iranian accord. The hardline opponents on each side act and sound remarkably alike. Each is embedded in a broader domestic political opposition to the incumbent presidential administration and is quick to exploit any setback to that administration for political advantage (and each realizes that if the nuclear negotiations can be torpedoed that would be a significant setback for the president they oppose). Each never tires of demonizing the other country and attributes the most malevolent intentions to it. Each fulminates about how its own country’s leaders are supposedly conceding too much and giving away the store. Each couches its opposition in terms of getting a better agreement, when in fact it does not want any agreement at all. A reminder of how much of a factor is hardline opposition in Iran came the other day when hardliners in the Iranian parliament forced a sort of no-confidence vote over how Zarif has been handling the negotiations. Zarif prevailed, but just barely. Only 125 of the 229 legislators present voted in his favor, with 86 voting against. The next big ploy of hardline opponents in the United States will be to push a new version of sanctions legislation similar to what Senators Mark Kirk and Robert Menendez introduced in the previous Congress. The new version is still being written, but the previous version contained elements that might well have constituted a violation of the preliminary agreement, and if it had been enacted an unsurprising Iranian reaction, one that Iranian hardliners probably would have demanded, would have been to declare Iran’s commitments under that agreement to be null and void and to walk away from the negotiating table. But let us assume, in line with what we have heard lately from the American hardliners, that the new version to be voted on as early as this month would not be a blatant violation of the existing agreement but instead would be a “conditional” measure that would impose additional sanctions on Iran if a final agreement were not reached by the deadlines that the negotiators had previously announced (March for a political agreement, and June for a full document with all technical details). Now let us perform a thought experiment in which we imagine Iranian hardliners doing what would be their closest possible equivalent to what the American hardliners are trying to do. Imagine that the Iranian majlis, or parliament, enacts legislation that commits Iran to taking certain steps if agreement is not reached by the announced deadlines. Specifically, if there is no agreement, Iran would resume building up a stockpile of low-enriched uranium. It would resume enrichment of uranium to the 20 percent level. It would resume development of the nuclear reactor at Arak in ways that would facilitate use of it to produce plutonium. It would rescind the additional special access given to international inspectors and revert to the lesser level of inspection consistent with the Nuclear Nonproliferation Treaty and prior agreements with the International Atomic Energy Agency. In other words, the Iranian hardliners’ legislation, just like the American hardliners’ legislation, would undo the commitments that each side made in the preliminary agreement of November 2013. And just like the American hardliners, the Iranian hardliners would justify their legislation as a conditional measure that would help to provide an incentive to the other side to negotiate seriously and not to drag out the talks indefinitely. As such, the measure would be portrayed as an aid to negotiations rather than an undermining of them. What would the U.S. reaction be to such an action in the majlis? Would the legislation, as claimed, make the U.S. administration more inclined than before to make concessions, increasing the likelihood that an agreement would be reached on the announced schedule? Of course not. Even those in the U.S. administration with high confidence in the good will of Rouhani would have their faith shaken in his ability to implement the terms of an agreement. And American hardliners would voice the most outrage of all (however much they would privately welcome this boost to their own deal-killing endeavors). What works in one direction works in the other. The responses to the imaginary legislation of Iranian hardliners point to the likely responses to the (unfortunately real) legislation being cooked up by American hardliners. Iranians of various stripes would see it as a major show of American bad faith. It would amplify the already considerable doubts in Tehran about true American intentions and about the ability of even a well-intentioned Barack Obama to make good on the U.S. side of a deal in the face of resistance by a Republican Congress. In Iranian eyes it would make any further Iranian concessions seem less apt to bring desirable results, thus more risky politically for any Iranian leader to offer, and thus less likely to be offered. Consequently the negotiations would be more likely to fail. U.S. officials conducting the negotiations know what, which is why they oppose the legislation. Those pushing the legislation know that, too, which is why they are pushing it. It is usually only when speaking in private or when too inexperienced or naive to disguise true intentions that the pushers acknowledge their objective. More often they promote the idea that what they are doing will provide the United States with useful leverage and induce Iran to make still more concessions. And some people genuinely believe that. This is one of several respects in which Americans tend to believe that bargaining with another state works in an asymmetric, exceptionalist way, in which other humans respond to pressures and inducements in a fundamentally different manner from how Americans themselves respond, when in fact there is far more symmetry. Thinking in role-reversal terms might help to correct that mistaken belief. ← Will France Repeat US Mistakes after 9/11? One comment and it’s a voice of sanity! Here’s something else to take to the bank. The Muslim world is going to get it’s nukes, some how and some day and sooner or later. And that will be the end of the US/Nato party in the ME. That is the inevitable that must be postponed at all costs. The US Hardliners may have a brand new tool at their disposal with a new story at Spiegel Online. Seems the dastardly Iranians have combined forces with North Korea and Syria AND Hezbollah to build a secret nuke factory deep underground in southern Syria. So all those US ‘hardliners’ have got to do is to add a Qusayr inspection to their demands. That ought to do the trick! IMO the Spiegel story stinks, but that’s not to say there isn’t something happening in Syria. After all, Assad sure has plenty of motivation, and the Iranian Hardliners deeply distrust Americans. They’ve seen what the modern Christian Crusaders have done to Iraq, Libya, Syria, and now the Ukraine, so who can blame their paranoia?